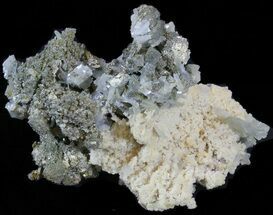 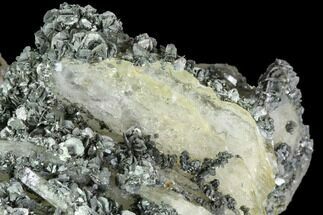 This specimen contains pyrite, quartz and bladed blue barite. 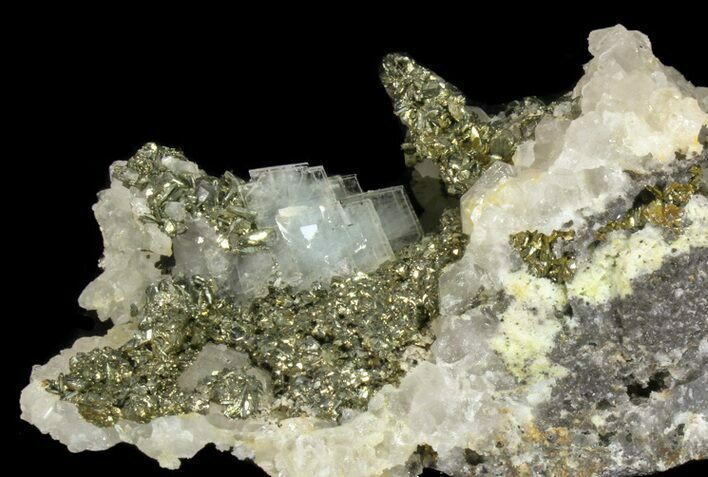 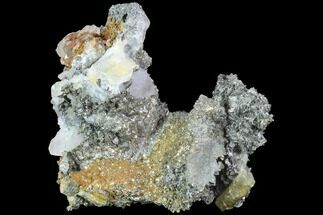 The pyrite has a beautiful luster to it, as well as the sharp marcasite crystals that are aggregated in association with the pyrite. 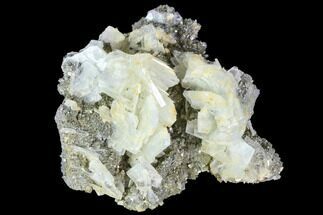 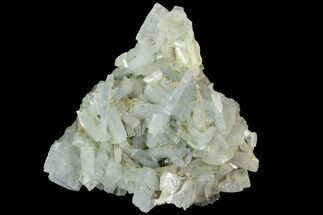 The barite has a blue coloration and a bladed formation. 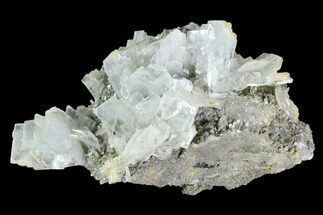 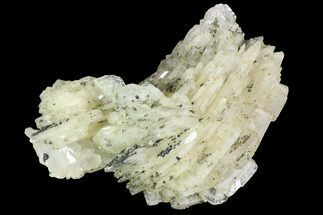 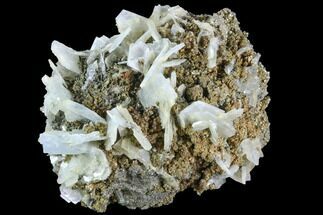 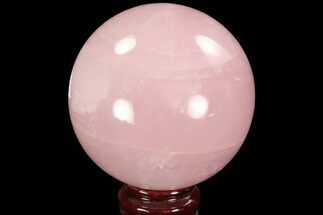 Quartz crystals can be found in multiple locations throughout the specimen, seemingly acting as a glue between the other crystals.